I'm just a hardworking cosplayer just doing what I love. My only regret is that I didn't start sooner! Each one of my cosplays starts with a love for the character as inspiration to create. 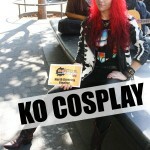 Check out my cosplay page to see current/future cosplays and my progress! I hope to see you at a convention soon and thank you for reading my entry! 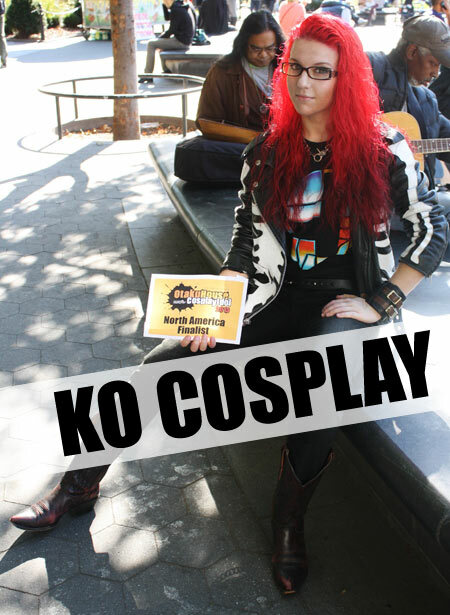 Description: While Gargantia on the Verdurous Planet was very underrated and the fandom are far and few in between, Bellows hit my cosplay "type" (long, red hair and totally badass) right off the bat. This cosplay was almost completely handmade by me! (Save for the boots and gloves which I purchased and modified heavily.) I even had to make a custom bra and thong for this cosplay! The hair is partly my real hair (dyed to match) and partly Arda extensions (Long Bangs and a Long Clip Ponytail in Apple Red). This cosplay was made to be part of a three person group featuring my sister as Amy and good friend as Pinion! We had a blast debuting this cosplay at Otakon and we even surprised to find some other Gargantia fans and cosplayers there! 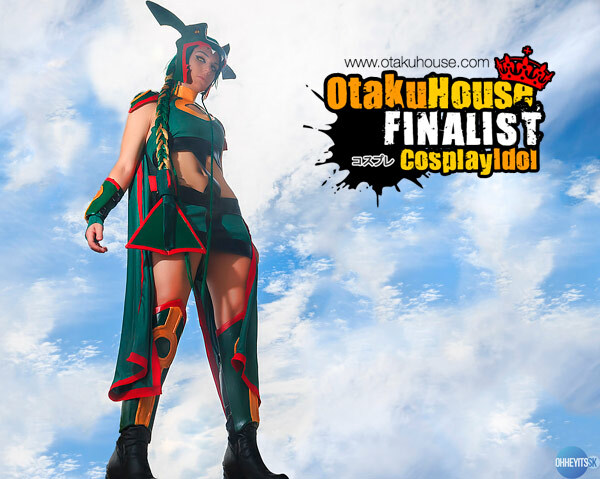 Description: This is my second Pokémon Gijinka cosplay that I have created! This cosplay was 100% made by me (with a little help shaping the armor from my trusty cosplay partner, my boyfriend), right down to the design. My inspiration for this design was partly Monster Hunter's character designs and partly South American mythology. I made the dress out of pleather, a stretch cotton/spandex blend, and a lot of trial and error. The armor was made of Worbla and the wig was a combination of Epic Cosplay and Arda wigs/wefts. (The Epic Asteria in Forest Green and Arda Long Wefts in Light Blonde) This cosplay was so fun to wear at Otakon! I can't wait to wear it again! Description: X-23 was the first comic book series that I read all the way through, back to front and to this day remains to be the only comic that ever made me cry. Laura is one of my favorite comic book characters ever and I worked hard to make her cosplay as accurate as my means could afford. I purchased her wig on eBay and styled it myself, made the claws, footclaws, belt, gloves, and choker (it even has Meagan Kinney's portrait inside of it! ), and modified the boots and pants. I commissioned the custom leather top from Ravenswood Leather. X-23 has a very devoted fandom and I'm always really happy to show other fans the locket at cons after they tell me how much they appreciate my cosplay. 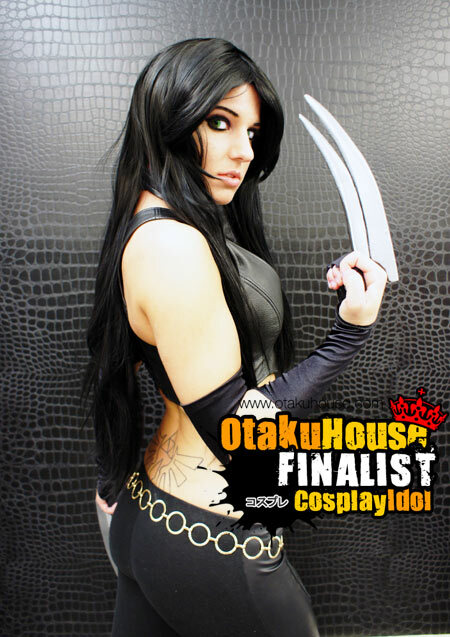 I plan on making other outfits that Laura wears and improving this cosplay in the future with better claws!